This morning at Le Tour was like chalk and cheese from the past week’s skiing. 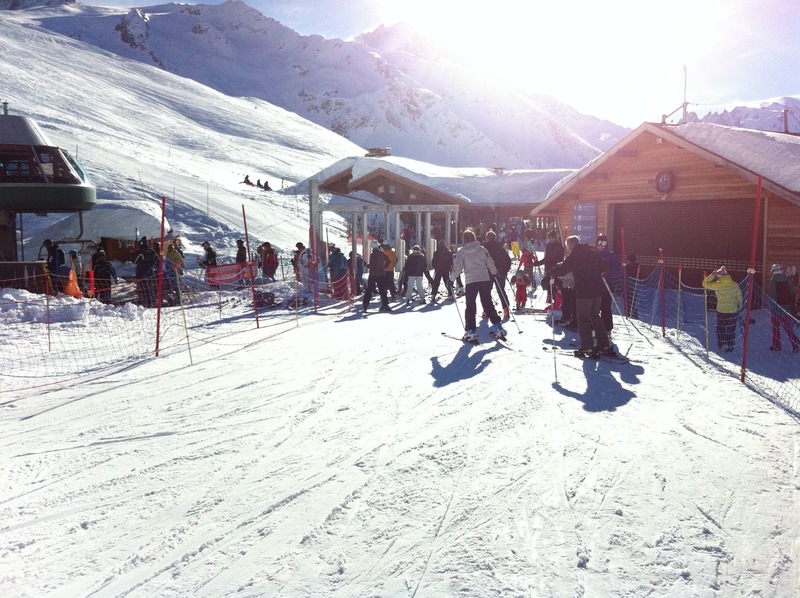 Places in the car park, no queue to get up the first lift and the best bit….no-one at the Autannes chair. We shouldn’t complain though. The holidays have been blessed by superb conditions. You want regular dumps of fresh snow? You had it! Sunny skies? You had loads. If only all ski holidays were like this, life would be perfect. The caption for the photo should be ‘you didn’t see it line this very often over the last fortnight’.